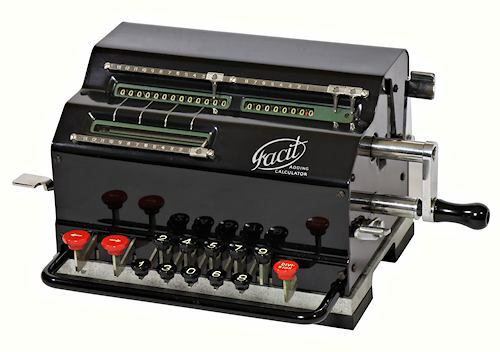 The first of the Facit "inverted" pinwheel calculators was the Model T from 1932. The Model TK from 1936 is essentially the same machine with a number of mechanical improvements. Although model numbers and exterior styling changed frequently, this basic ten-key mechanism continued in production with only minor changes for almost 40 years, from the mid-1930s into the 1970s.